Okay, so today counts as a near-miss farm accident. 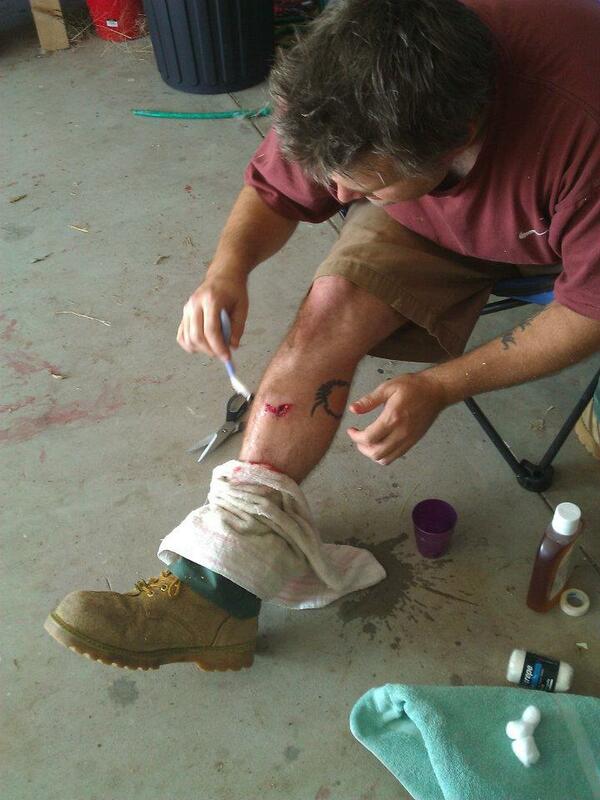 Two stitches and some glue certainly aren’t a fully fledged farm accident. 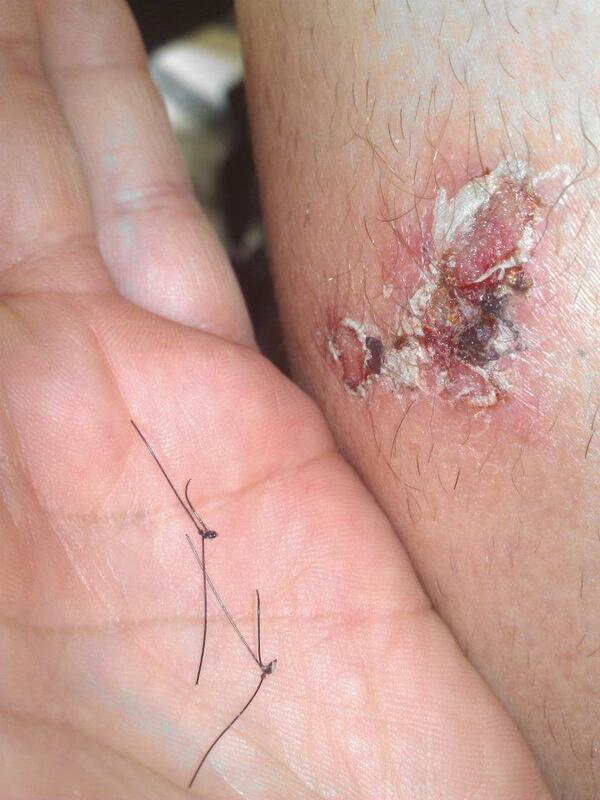 And on a related note, I am 100% positive that I’ll be stitching myself next time. Seriously, how hard is it?! The Roseworthy Hotel out did itself again! Seriously, country pub meals are the best!!!!! Oh, and they have beer. It is such a gorgeous Autumn day that I decided to wear shorts this afternoon… Okay, it was mostly so I could gross people out with the big, semi-healed wound on my leg. It is a nice day though. Touch chilli. Touch eyelids. In pain. Apparently some people never learn. A sure sign that you’re missing home and maybe talking about it too much: My instructor forgot my last name today and called me “Neil Farmer”. Bruce doesn’t quite understand why we do the things we do. Plumbing, Poor Poultry, Pyros, and Ploughing! May brought us some problems, with poultry, plumbing, and ploughing mostly. It was really a month for lessons… and for some other stuff that doesn’t start with ‘P’. The ducklings were getting bigger and following their mums around like little fat kids. We’d been having problems with Tatyl obsessing over the poultry, but I was confident that I’d broken her of it through being attentive and scolding her. However, Linhda came home one day to find that the dogs (aka Tatyl) had broken into the poultry run and there was a dead duckling in the wading pool. We can’t say for sure that a dog (aka Tatyl) killed it, but I’m guessing that one (yes, Tatyl) did. I don’t want to seem like I’m being mean to Tatyl, but I’m convinced it was her. Back when we had the first lot of meat chooks and were setting up the infrastructure for them, we had two days in a row where Bruce and Domino were accidentally left alone with 23 month-old birds. 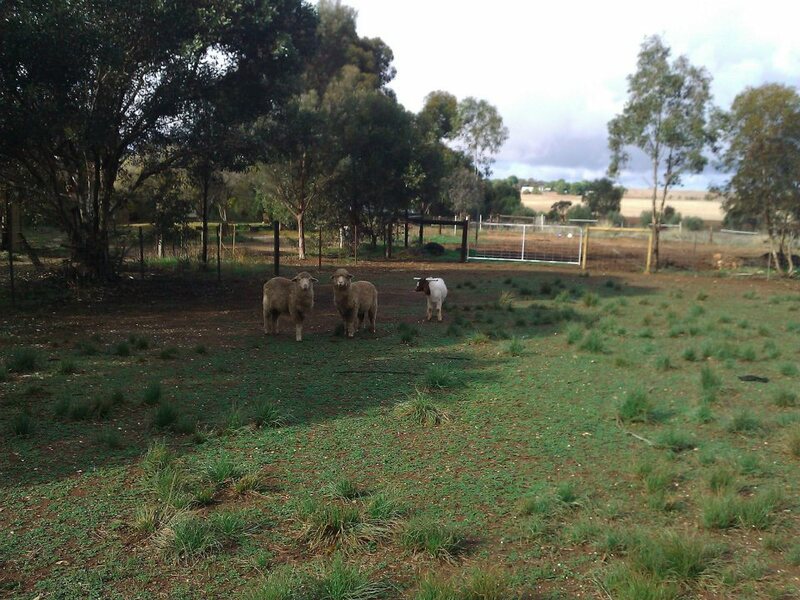 The first day the temporary fence had come down, and the second day Bruce had let himself into their yard. Both times the big dogs and the birds had spent the day together without grief. That changed with Tatyl. Still, Tatyl is part of the family, so we tried our best to teach her. 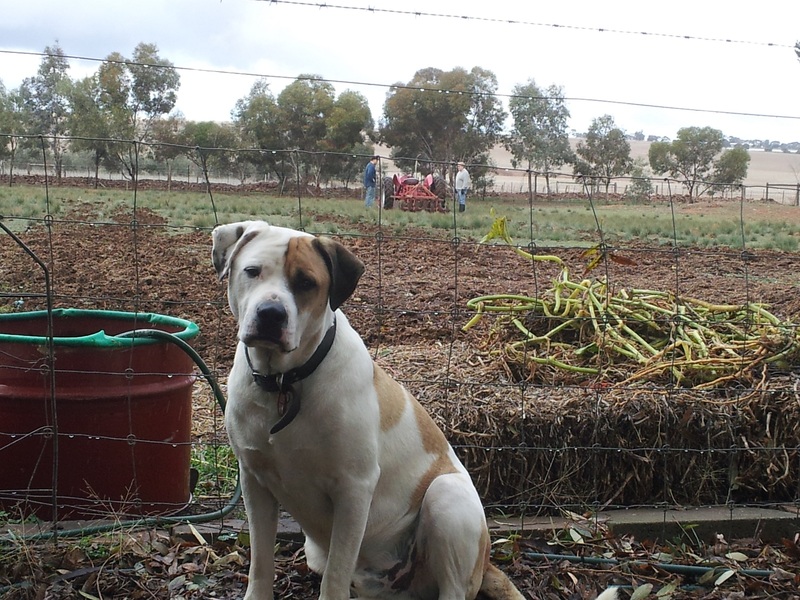 More watching her like a hawk and scolding led to two dead baby meat chooks a week or so later. She either dragged them through the fence or got over into their area and grabbed them. Yes, more watching and scolding. She still can’t be fully trusted, but we’ve now had all three dogs out with free-ranged poultry, and Tatyl is at least good enough to not try and kill anything while we’re around. We also had our first gimpy meat chook. 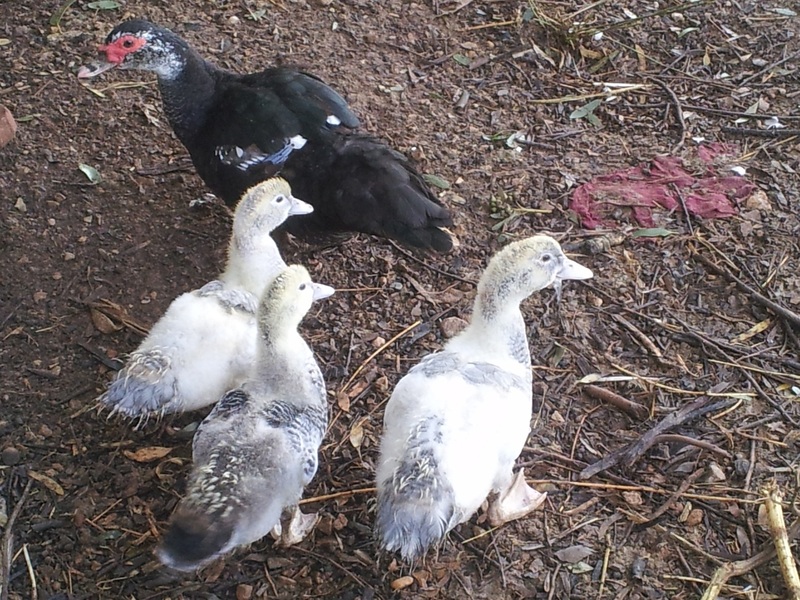 The breed we buy are Cobbs, and from what I can tell many true poultry enthusiasts avoid them. They’ve (the chooks, not the poultry enthusiasts) been selectively bred to mature quickly, be quite large, and to never feel full. Basically, they’re machines and have been bred to go from egg to slaughter weight in as little as 6 weeks. 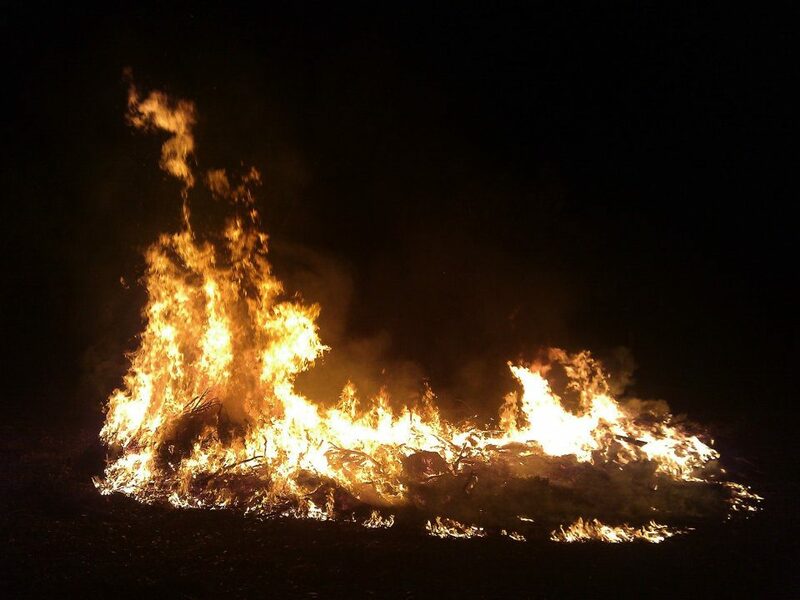 May 2nd was Peyton’s 18th birthday, and we planned a bonfire for her. We’d been piling up all of the crap we couldn’t use from the garden redesigns and tree trimming etc. 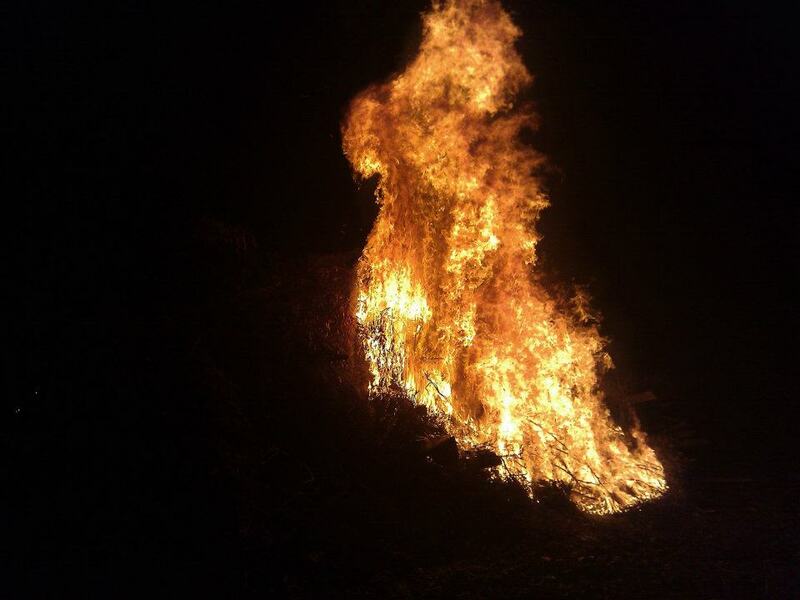 The pile ended up being quite impressively tall, but I didn’t think it would burn that well. It was damp and much of the material on the pile was green. I expected it to smoulder, and maybe take the entire night to burn. 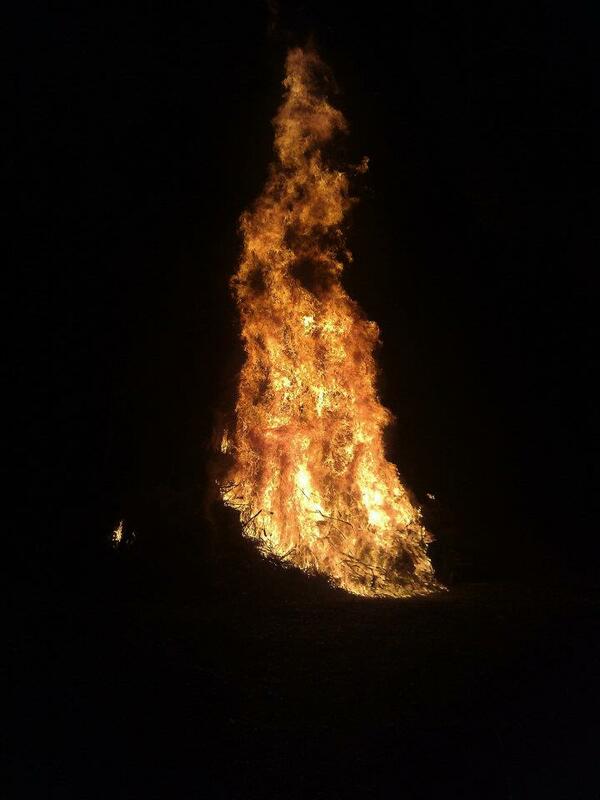 The pile ended up going up like a roman candle. It caught right away and burned incredibly fiercely. It was completely contained, and we had hoses and our fire-fighting pump on hand, but it was still nearly scary in its intensity. It got to the stage where tourists stopped on the side of the road to watch it. It was about 40 feet and a little scary at this point. We’d noted some water in the chook run and thought it was rain run-off from the roof of the coop. 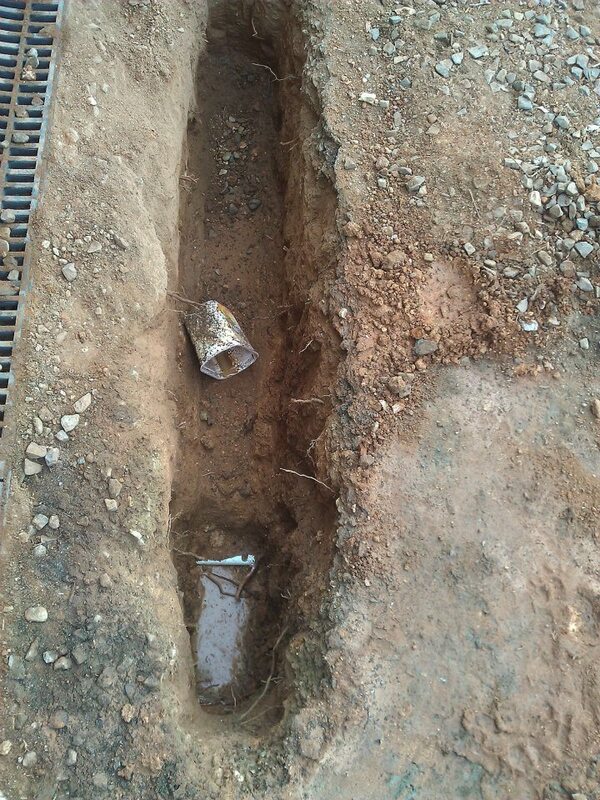 Some investigation showed that it was actually a split pipe within the foundations of the big shed. The foundation is really quite high back there (the block slopes down that way), it had cracked and split the PVC pipe in the process. 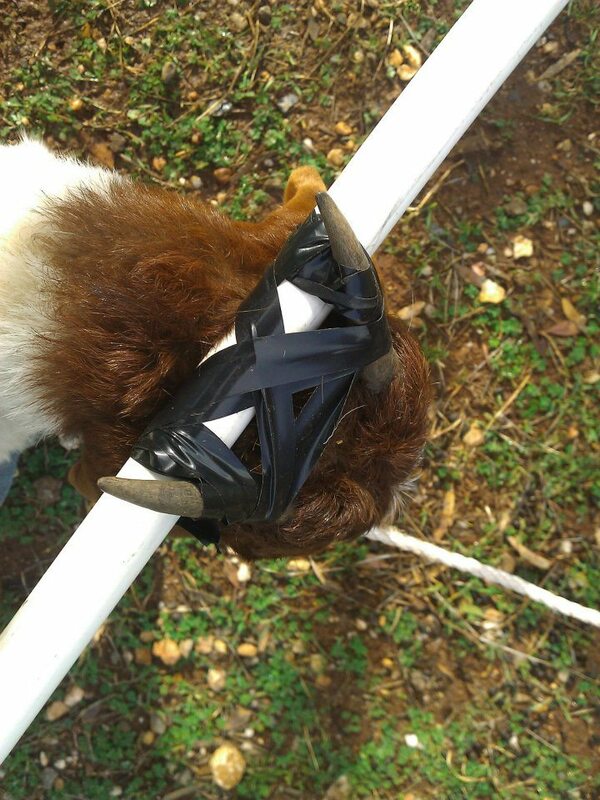 There was no way we could get into the foundation to fix the crack, and so had to get inventive. The isolation valve for the shed was buried in the chook run, which was a ridiculous design, so we decided to fix this all at once. First of all, we had to find where the pipe ran from the front of the house, under the front of the shed, and then out the back where it was split. 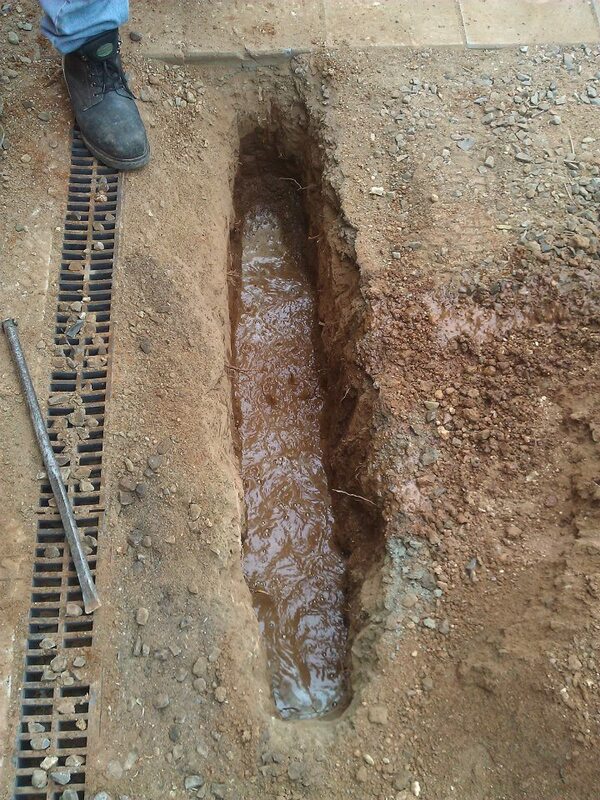 It took me FOREVER to isolate the pipe, as it ended up being buried about 2 ½ feet deep. I ended up finding it with my 5 foot crow bar, which unsurprisingly did bad things to the pipe, and resulted in a quick trip to the hardware store. 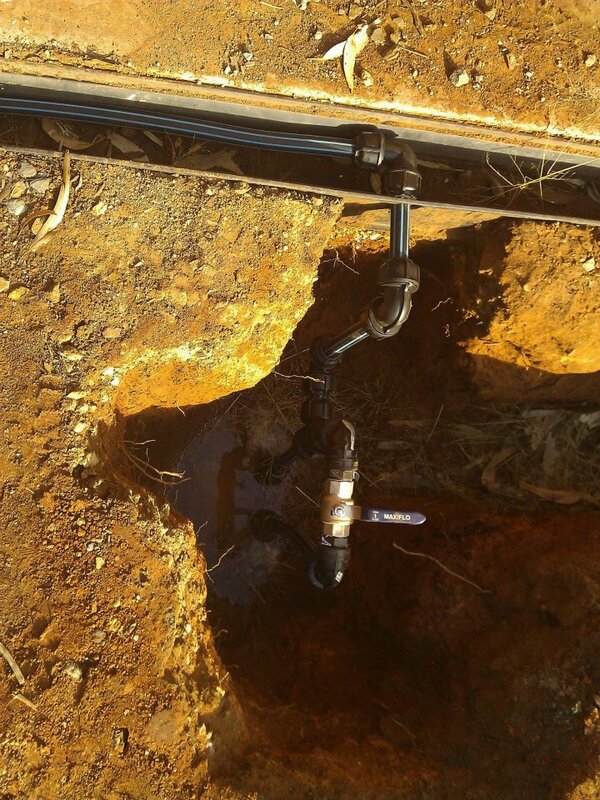 We ended up putting a tap in where I split the pipe, teeing into the circuit near the front of the shed, and then blanking it off towards the leak. We can now isolate the shed quickly and easily. Sheldon proudly sporting his new plough. 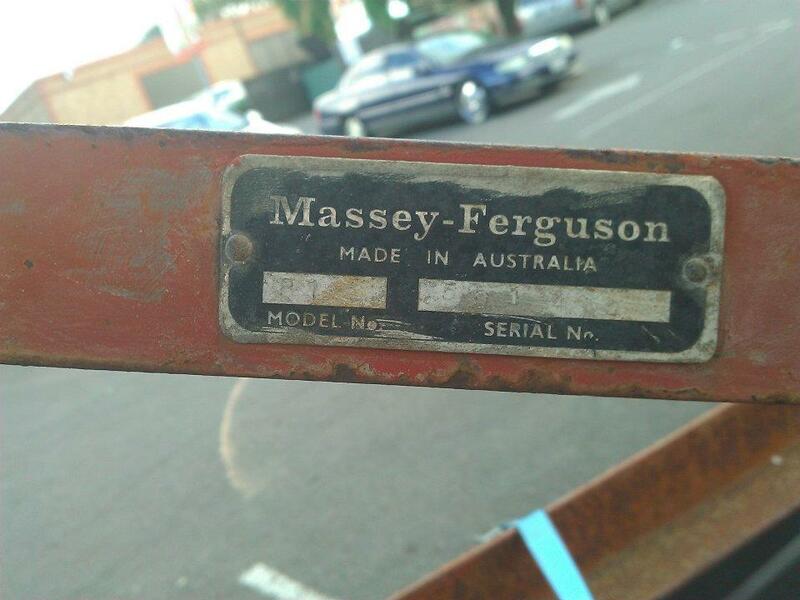 Our plough is made in Australia! 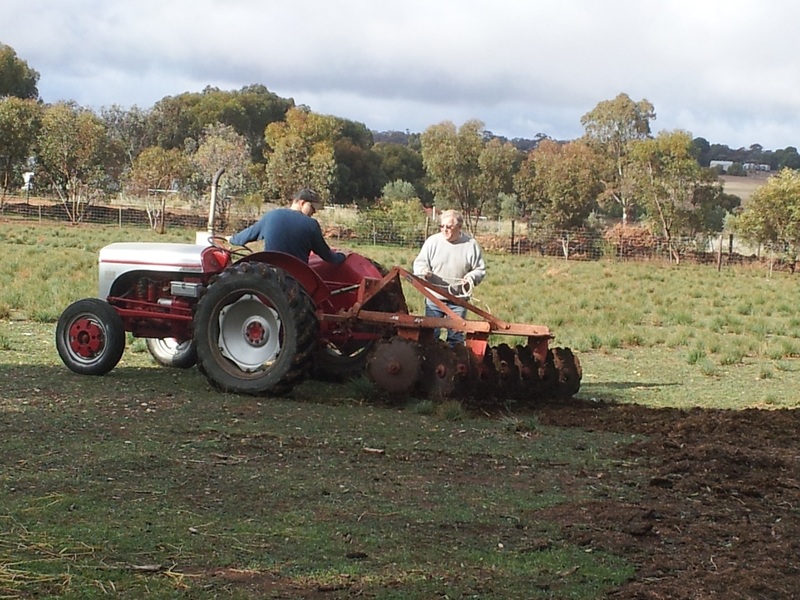 At first the plough wouldn’t break the ground. Seriously, it just rolled over the top. We worked out that it needed some weight to dig in. Luckily, our semi-retired farmer neighbour knew what to do, and lent us some old garage door weights. They’re cylindrical and probably weight 100kg each. Trying to work out why the plough wasn’t really ploughing. The first problem we found was that Sheldon struggled pulling the plough with all of those weights. Some trial-and-error showed us that two was the perfect number – Sheldon could do the job, and the plough dug in. 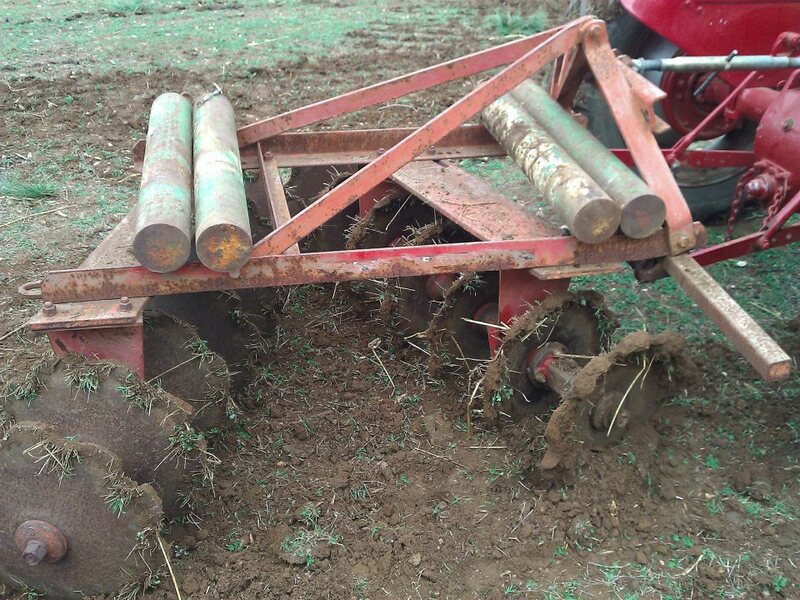 Plough weights. Four ended up being too much. We also lucked out this month with three trailer-loads of free pea straw. 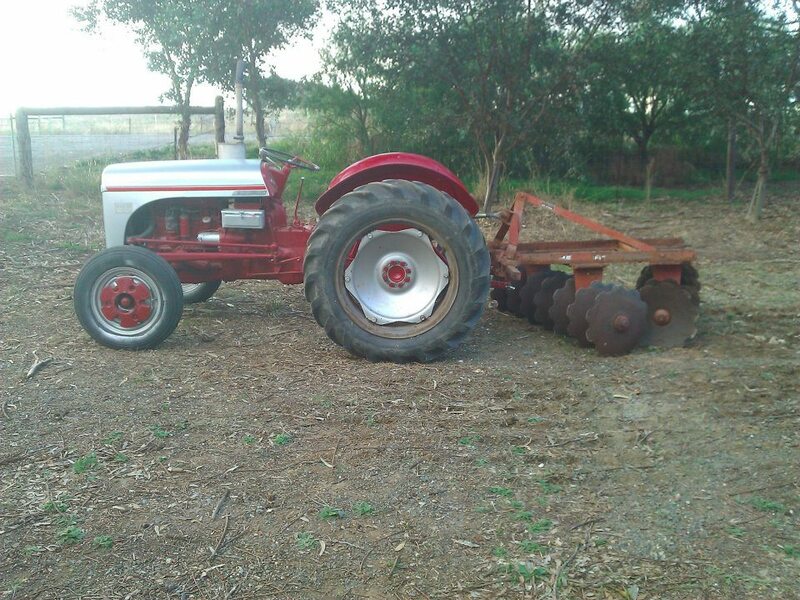 It was a year or three old, and Farmer John was going to drag it into a paddock and burn it just to get rid of it. 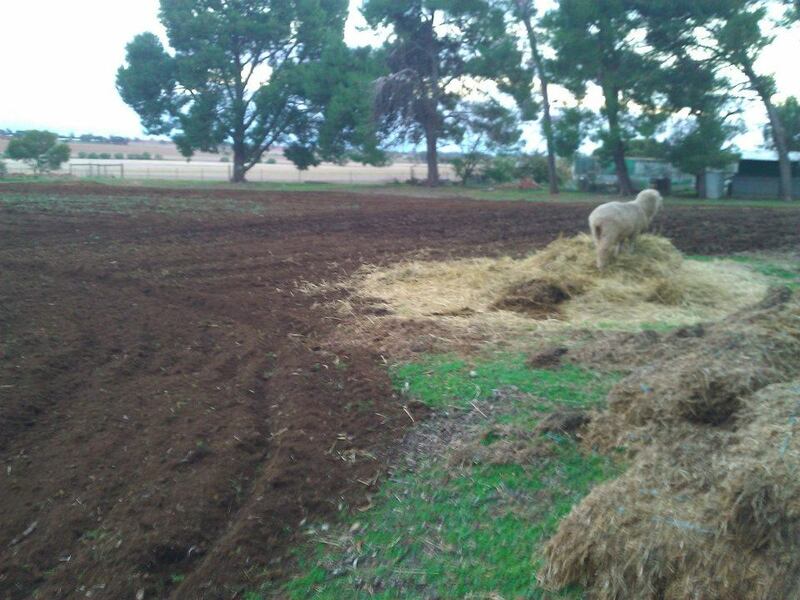 I told him I’d take it off his hands for the veggie patch. 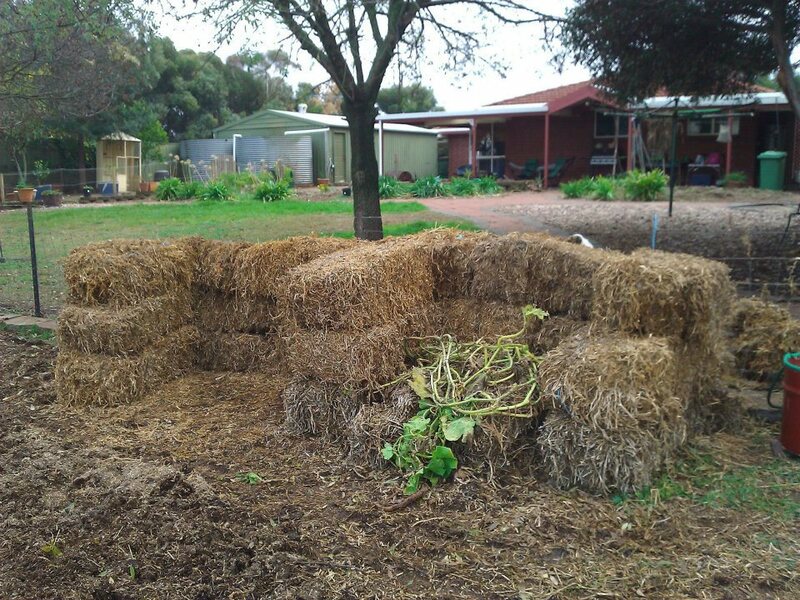 We ended up making some compost bays with it, and whatever else we could save from the free-ranging egg chooks was used as mulch. Compost bays made of pea straw! Necessity is the mother of all invention… or something like that. This is living proof that duct tape is one of the best inventions EVER! I’d used the chainsaw for an hour or so, and it really was beautiful. I have a thing for axes and chainsaws, and this one is just lovely to use. The problem was the faster revolution speed, coupled with the fact that familiarity really does breed contempt. I was cutting some smaller branches, maybe 2 or 3 inches in diameter. There was only a short length of one of them left, and rather than step on it or secure it, I tried to use the guard on the base of the saw to catch it. I’d done that hundreds of times on my larger, slower saw, but didn’t allow for the speed of the new one. 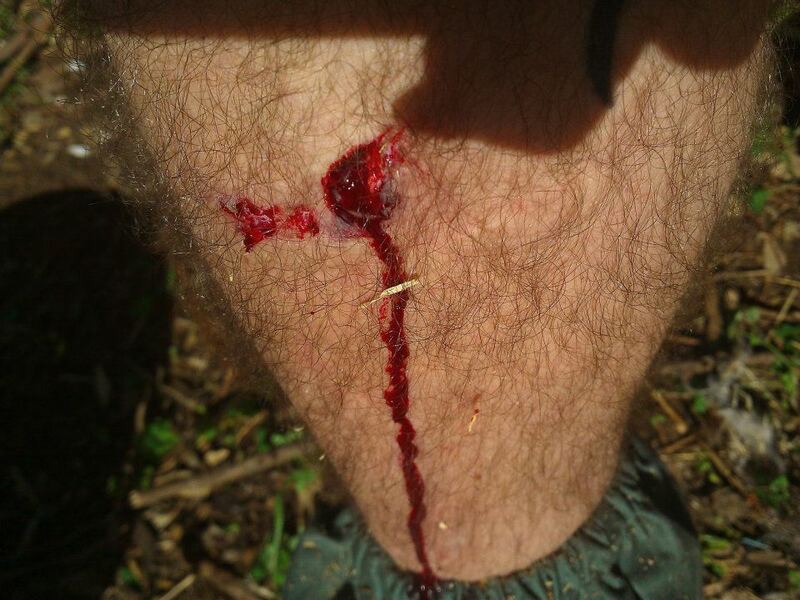 The result was a couple of feet of hard wood bouncing off my right shin at a fair rate of knots. Shaving so the bandaids wouldn’t stick. That’d hurt. 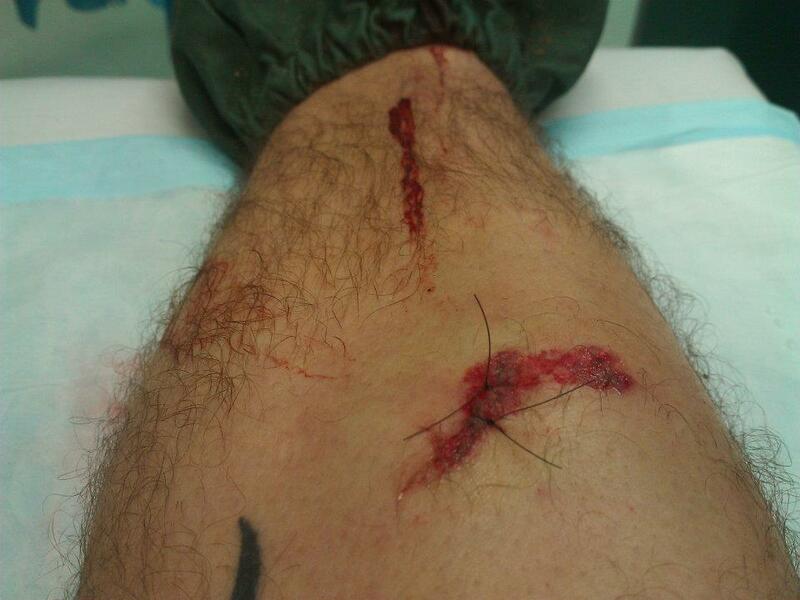 Two stitches and some glue. Three weeks on and I took the stitches out.